The Newest Generation of Ghillies! The first Ghillie suits available for hunters were extremely expensive. My husband brought burlap bags and asked me to make a suit for hunting birds & turkeys. Being tragically gullible, I labored over this task for a couple of weeks. By its nature, burlap is heavy, dank, smelly, itchy and flammable! Let me emphasize — they are really itchy! By the end of the job, however, we’d saved most of the $300 cost of the suit. The results were impressive, the suit worked well and Richard brought his limit home. Early suit’s materials were awful. When it rained, Ghillie suits became sodden and smelled worse than before. Drying them out was a challenge. The suits were heavy and caught on twigs and branches. One good thing about them is that they did not encourage movement, so any hunter inside stayed rather still. To say that the early Ghillie suits were ‘a pain,’ doesn’t begin to cover the situation. Very quickly, hunters learned that suits made of real burlap bags weren’t desirable. What else could be used to protect the hunter while not causing him to itch to death? Manufacturers began experimenting with materials. They used a variety of fabrics, as well as leaf-shaped additions and synthetic blends. The evolution of the Ghillie suit has been a long one. Some of the fabrics “swished” and were a dead give-away to the animals the hunter was trying to shoot. Other suits had a sheen that caught an animal’s eye long before a hunter could draw a bead to shoot. It has taken over 20 years of experimentation for manufacturers to create really ‘successful’ Ghillie suits. Some of their “almosts” are on clearance counters. Run home and do some research on the Internet before investing in clearance ghillies! Remember that patience is more important than a ghillie suit! Animals are very sensitive to movement! If you, or someone hunting with you is wiggly, use a blind. Turkeys lack the curiosity gene! If they see movement, they leave! They leave investigation of movement to those gobblers having a death-wish! Ghillie suits are a wonderful addition to a hunter’s tools. However, they can never replace patience! Next Time: Finish the Info about Washing Products Without UV Brighteners! These are 6 clothing tips for turkey hunters. Found some camo wear in the “Clearance” section of your store? BEWARE! Some of those ‘3-D camo’ and ‘movable leaves’ wear that you will find on clearance racks are a bad investment. Why? If they move on a still morning, turkeys don’t wait to see why they moved. They quickly make tracks — in a different direction! Shiny new clothes may be great for church, but are a poor idea when hunting turkeys. Why? Turkeys have sharp eyes. A shiny watch strap, glittery watch and reflections off of clothing are dead give-aways! Keep in mind: Turkeys that survive the first weeks of hunting learn about shiny objects and hunters. They get smarter as the season wears on. I’ve already written lots about what to use when washing your hunting wear. Mosey on over to UV Brighteners: We’ve Got the News, where I name names of the products that will not add UV Brighteners to your clothing. If your hunting clothing meets all of these criteria, your clothing will not impede your ability to snag a turkey: comfortable, safe (nothing to hang up on branches, gun barrels, etc. ), and silent (no noise, no matter how slight). As a test: Rub your clothing (pants legs or sleeves) together. Well-washed cotton garments generally are silent. However, some garments with lots of polyester can sound very loud! Some guides suggest “mix-and-match” — green camo over brown camo (pants). In other words, they are suggesting you wear the same pattern, with differing colors. There’s a lot of controversy about this idea. I’m going to side-step it and suggest coveralls. 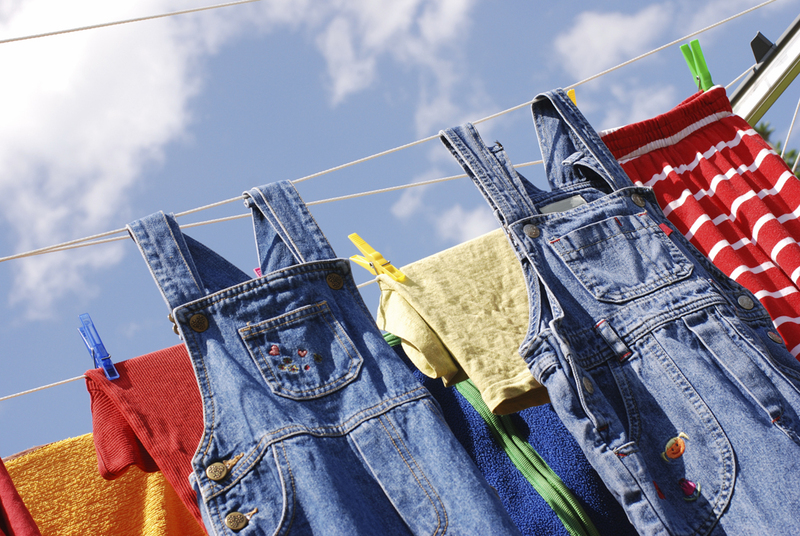 They are versatile; on hot days, wear a single layer cotton coverall. On cold days, wear underlayers (of wool, cotton, whatever) for extra insulation. Another reason I like coveralls, is that they seem to have an endless supply of pockets — deep and roomy — to carry the endless list of “must-haves:” gloves, turkey tags, shells, calls, etc. A few years ago, everyone wore black face makeup – to reduce face shine. Now, however, the trend is towards face veils or face nets. It’s Friday. Some Absolutely Worthless Info! Great for Hunting in Snow! This has been a hard week. Since Friday has FINALLY arrived, let the silliness begin! As I have mentioned before, WordPress has a nifty tool that tells us how people find our site. Usually, seekers enter words into the search engine, and Google, or others, try to find a page with info to help. I certainly hope the seeker does not find a real ghillie suit. About 30 years ago, MDH Richard brought dozens of burlap bags to me and asked if I’d make him a ghillie suit. Obviously, I wasn’t in my right mind when I said, “Sure!” So I started to cut, stitch and itch! The burlap bags reeked; the stray fibers filled my sewing machine and lungs. When I finished, I took a much-needed rest cure in a German sanitorium for folks who have taken in more dust particles than brain cells. Actually, I learned that the original isn’t always the best. Those suits were hot, itchy and stank! It didn’t take long before manufacturers changed to lighter, washable fabrics …. And, I learned they were well worth the price! This is the second WordPress item of interest. Even though there are fewer kids out hunting, they are dressed better than ever before! Until this past holiday season, I didn’t even try to carry kids’ ghillie suits. Why? No one could keep ‘kids hunting wear’ in stock! I don’t think manufacturers had an inkling how hot (popular) these suits would be! If you are planning to get one of these suits for your junior hunter this fall, buy it out-of-season. He decided to try to break the news to a friend of his, the eternal complainer who refused to be impressed with anything. This, surely, would impress him. He invited him to hunt with him and his new dog. The dog, however, did not sink but instead walked across the water to retrieve the bird, never getting more than his paws wet. This continued all day long. The complainer watched carefully, saw everything, but did not say a single word. on January 23, 2009 at 9:10 am Comments Off on It’s Friday. Some Absolutely Worthless Info! Round-Up of Ghillie Suit Info! At one point, I thought I was an “expert” on ghillie suits. Hah! Changes and innovation are happening so rapidly that it is now hard just to stay up with Ghillie gear! Bow Hunters Need Freedom of Action! The type of hunting you do will determine what kind of camouflage or ghillie suit you need. Do you plan to stalk game? Are you more comfortable lying down or moving? What is your weapon of choice? Bow hunters have rather specialized needs. It is critical for archers to have their shooting arm and chest area free of extra material. Having freedom of action is critical. In order to be successful, nothing can interfere with the action of their bow string. Archers are usually within 20 yards of their target; there’s little room for error. Whether you are in a tree stand, hiding in a blind or stalking, safety and flexibility are your watch words. Generally, bow hunters are covered from head to boot. Most ghillie suits appropriate for archers have additional jute, burlap or synthetic netting/fabric. The purpose to to give each hunter enough material to individualize his suit for his unique needs. If the ghillie suit is made of jute or burlap, it has been treated with fire retardant. If the suit is washed off (natural fabrics generally won’t withstand washing in a machine), be sure to retreat the garment with the extra retardant supplied with the suit. The sharp-eyed turkey offers a special challenge. Many hunters like poncho-type gear. Because only the top half of the body is covered, it gives the hunter the flexibility to stalk his game. Another product for the upright stalk is something called a “flage suit.” It is a one-piece ghillie suit that hangs from the shoulders to the boots. The body is totally encased in the suit and usually has 2 lbs. of extra material. The first time I saw the item below, I was convinced it was a product for the funeral industry! A goose hunter might use this to lie down in a field, waiting for geese. These camo blankets and netting are an improvement over the old do-it-yourself methods of hiding yourself and your equipment. I look at them as portable hunting blinds. They can be hung from trees and draped between upright posts, so you can rearrange your temporary blind to meet your changing needs. In my last report (coming soon), the issue of covering yourself and your equipment will be discussed. You may be able to use the excess materials from your ghillie suit to cover your weapon. However, each month more companies develop camo especially for the gun. The designs are getting more complete all the time. It makes little sense to buy a ghillie suit, yet leave your hands, face and gun shiny. Light will reflect off each of these surfaces. And your quarry will thank you, as he races away to the next county! Military snipers and hunters aren’t the only folks who’ve developed a fondness for ghillie suits. Paintballers have joined the fun; they tend to choose suits in the new synthetic fabrics. Generally, the materials are rot-proof, easy to wash, mildew resistant and the threads used to stitch the garment are synthetic (because cotton threads would rot in the rough-and-tumble world of paintballing). Anyone Out There? Questions for My Readers! Just want you to know that it gets mighty lonely in my Ivory Tower, issuing, ‘Calling all Readers!’ pearls of fascinating lore. If there is anyone in cyberspace who has read my article: Hunting News: Why You Just Might Not Get a Turkey or Deer this Year or A Few More Facts About Deer Hunting — I’d love to hear how you are handling this issue. Hey, I’m even willing to listen to anyone who hasn’t read either article! Are you concerned about the issue? Have you tried the product mentioned (UV Killer)? Did it work? As well as advertised? Have you discovered an alternative method of removing (and keeping out) “the glow?” What is it and how does it work? Inquiring minds want to know!